Korean soybean Paste (된장, doenjang) goes really well with cabbage or other type of leafy vegetables. The salty pungent flavor of fermented soybean is not for everyone, but once you are used to the flavor it quickly becomes your comfort flavor and you will crave for it. Koreans use this paste for not just in soups and stews, we use it in many salad type dishes as well. Fermented soybean offers a lot of health benefits. 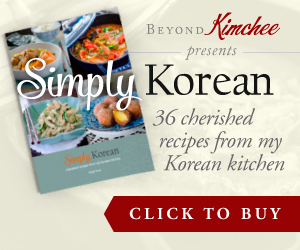 If you like Korean food, I hope you try using doenjang more often in variety of dishes. 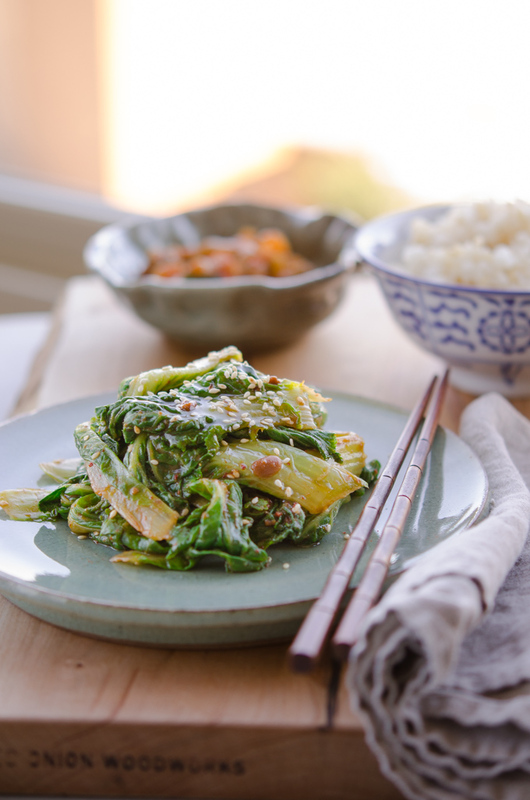 I found this tender green spring cabbage called Bomdong (봄동) and made a quick side dish to eat with rice. We call this cabbage with soybean paste “Bomdong Namool (봄동 나물)” and it is perfect vegetarian/vegan dish that you can enjoy. 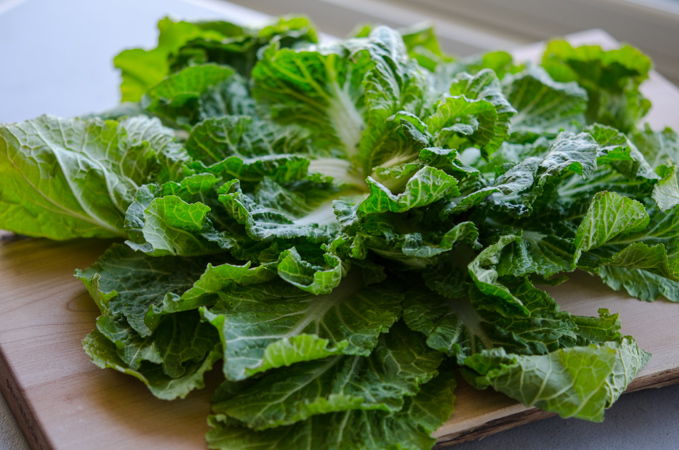 Bomdong is young Korean cabbage and it can be available in major Korean stores only during spring season. 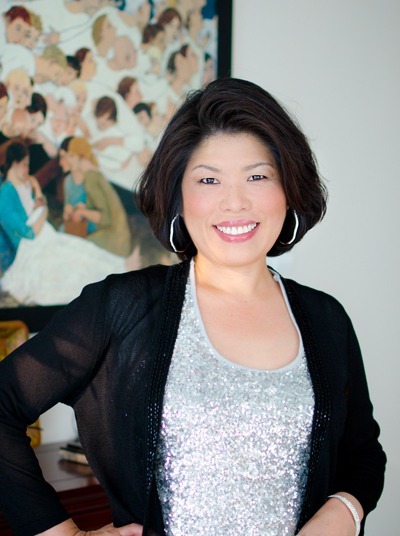 You don’t have to have this Bomdong for this recipe. You can use baby kale, Swiss chard, napa cabbage, or even spinach would be great to go with. Cut the cabbage into chunks. Since the leaves are small in size I left them in whole without cutting into pieces. Blanch them in salted boiling water for 1-2 minutes depends on their thickness. You want them to be somewhat soft. Drain and rinse with cold water. Squeeze out the extra moisture. Add Korean soybean paste, Korean chili flakes, sesame oil, toasted sesame seeds, and minced garlic (or garlic powder). Rub the paste between your fingers and try to toss everything to incorporate with seasonings as if you are massaging them. Serve with rice. This Bomdong namool is one of the gazillion Korean side dishes that people like to eat in the spring time. As you can tell, it is robust in flavor, and perfect to eat with rice. I emptied out a bowl of rice with this side dish and I didn’t miss any meat to go with. Hope you can give this a try! 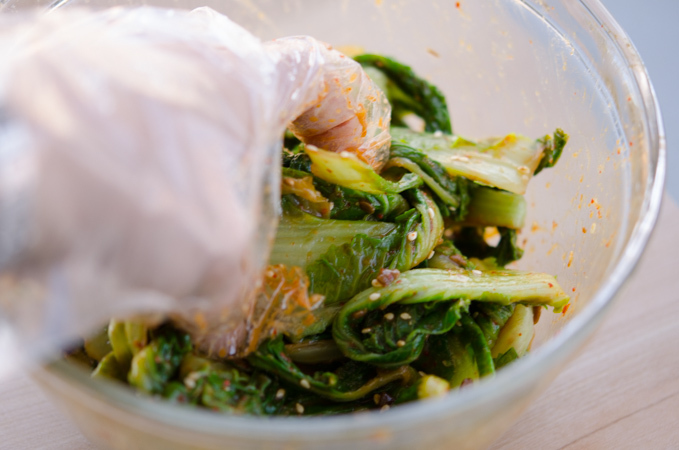 A tender young spring cabbage tossed in Korean soybean paste. 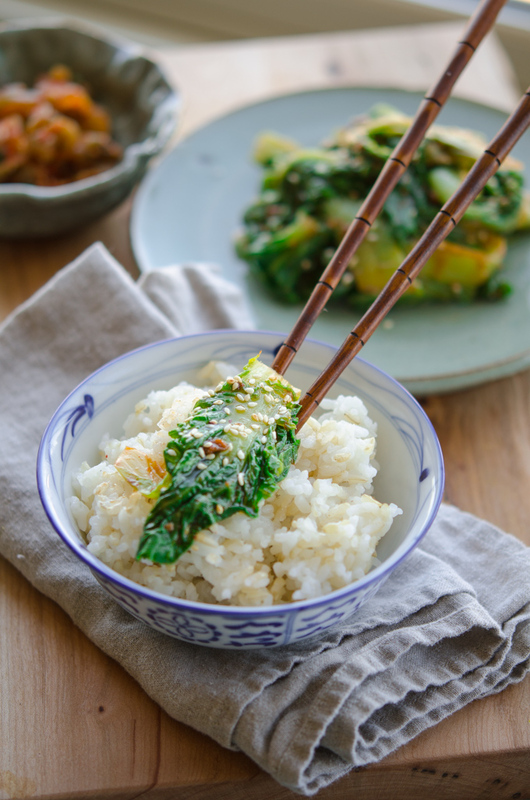 Any leafy vegetables can be used and perfect to serve with rice. 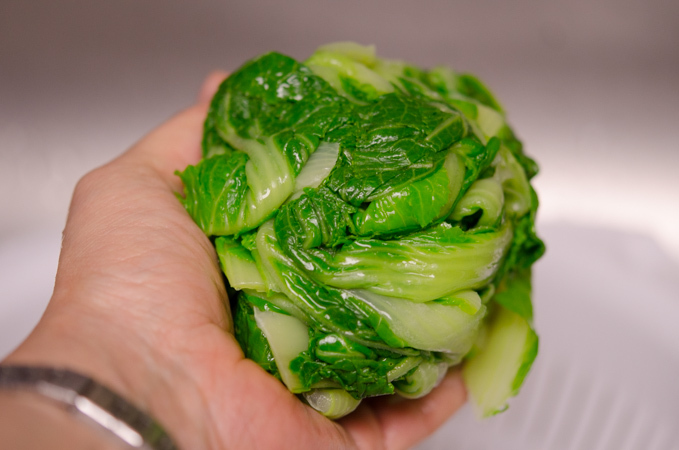 Boil pot of water with some salt, add the cabbage and blanch for 1-2 minutes. Drain the cabbage and rinse with cold water. 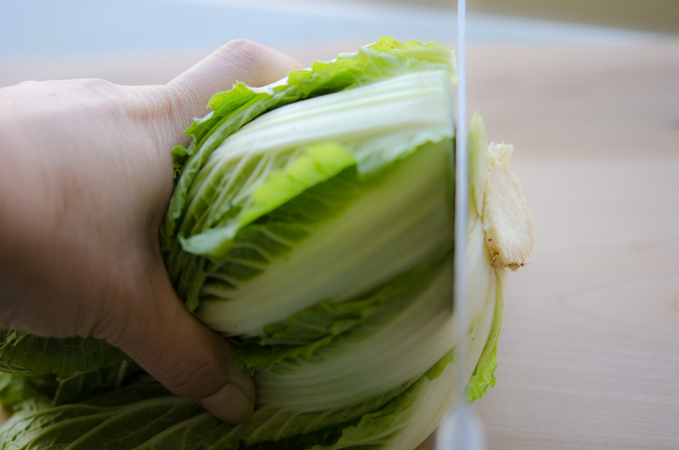 Squeeze out the extra moisture from the cabbage. Place the cabbage in a mixing bowl, add the rest of the ingredients. 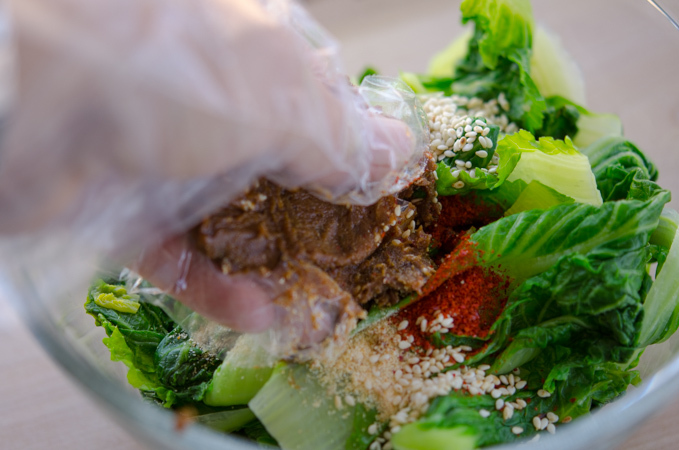 Smear the soybean paste between your fingers to loosed, and rub with the cabbage along with the other ingredients as you toss around to incorporate everything so the flavor will soak into the cabbage. I love quick dishes like this with flavor that delivers! This looks terrific -- thanks so much. That is so neat that you enjoyed this recipe. I know the young spring cabbages are so tender and delicious, right? I wish, too, that people can access this cabbage to enjoy their delicate flavor. Thanks for the sweet comment, Cheryl! Yum!! This looks so healthy and flavorful, and a perfect way to bring in the spring season! I could eat bomdong namool with rice everyday. . love this! Hi Holly, This is nice. The 1st time I made this I finished the whole dish myself with a huge bowl of rice, so I have to make it again. I like it for its taste, for the fact that it is healthy, quick and easy to prepare. This will feature in my menu frequently and I will be trying this dressing with other vegetables! Thanks. The seasoning also goes well with bok choy (or pak choi) and European winter spinach (the one with the big strong leaves). Although for both of them the time to blanch is shorter. Around 1min max for the bok choy and about 30sec for the spinach. I'd guess Chard (Beta vulgaris) would also work. Other suitable vegetables may be available depending on where you live as long as they are green and... well "leafy". Thanks Adnreas. Any leafy vegetables will work great with this recipe. I have made with spinach, kale, Swiss chard, watercress, and etc. The blanching time will differ depends on the vegetables. Perfect way to enjoy vegetables.